Wtf is this disgrace to the bards?!??!?? Anyway, interesting picture to say the least . heehee. This is cheesy and awesome. I love it. Aaaand... if it's official, it can't be recent. That's not a recent picture of Hansi... but Frederik is there... Ahhh, mindfuck. He kinda did, take a look at the Another Stranger Me video clip. I don't actually care if it's official or not, I just think it's the most amazing thing my eyes have ever seen. What's the meaning behind this, if there is any? This sci-fi thing feels freaky!!! They should do some songs on dystopian sci-fi such as 1984 and Fahrenheit 451. I definitely see potential there. I think that'd be a good place for them to explore. They've done a lot of straight-up fantasy themes for a long time, sci-fi would be cool to see. as long as it isn't Star Wars/Trek. bestpike wrote: Wtf is this disgrace to the bards?!??!?? Anyway, interesting picture to say the least . Dentarthurdent wrote: They should do some songs on dystopian sci-fi such as 1984 and Fahrenheit 451. I definitely see potential there. wade-newb wrote: I think that'd be a good place for them to explore. They've done a lot of straight-up fantasy themes for a long time, sci-fi would be cool to see. Dentarthurdent wrote: as long as it isn't Star Wars/Trek. 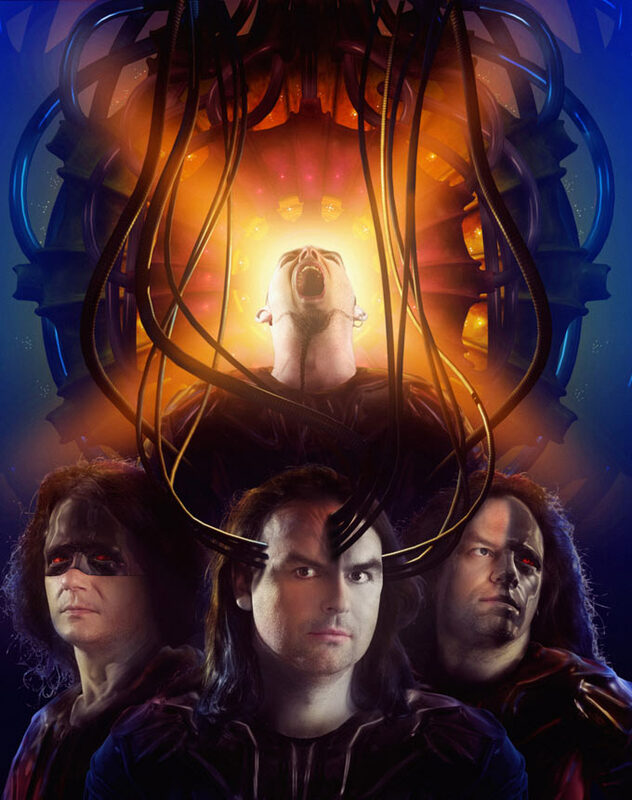 I think scifi won't be a problem for Blind Guardian, it's just applying the Blind Guardian lyrical style to sci-fi. I mean, I don't mind Time What is Time at all. If it happens, it won't be some sudden change in lyrical direction or anything. After all, Hansi manages to evoke emotions mainly through the way of his singing and less so through their meaning. Of course the latter further boosts the effect, after one spends the time to study the lyrics etc. Hansi already was Imperator Palpatine in/on Solar Fragment's song "Inside the circle", so why not? He should grow his hair back. Screw being mature and keeping it off..hes to awesome and legendary to be a short-hair. Thats right..short-hair. Even Angus Young, or Lemmy keeps what hair they can growing.